Sports injuries are a variety of conditions resulting from over-stressing a body that is inadequately prepared for the rigours of a given physical activity. In occasional athletes, injuries maybe due to the lack of physical fitness, poor posture, or having improper equipment. 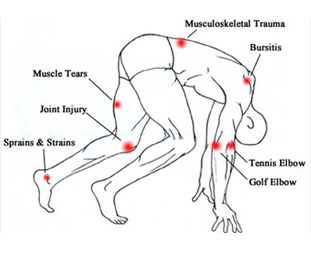 In regular athletes, injuries may result from over-training, over-use, and repetitive stress.